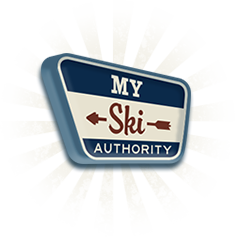 Welcome to New York Ski Authority: Your Base Camp for Ski Discounts. New York State may be best known for New York City and all that the Big Apple implies, but there is plenty going on in the other 54,000 square miles. And, if you’re looking for skiing in New York, you’re in luck. A lot of luck. The Appalachians cut through the entire state as they head north to Vermont, New Hampshire, and Maine. The Appalachians are divided into the Adirondacks, the Catskills, the Hudson Highlands, and the Taconics. This tremendous number of mountains means that there are over 50 ski resorts scattered across the state. With the exception of Long Island, you are never more than an hour away from a place to ski in New York. You’ll find ski areas centered around three main locations. The Adirondacks are home to the most popular resort in the eastern United States, Whiteface Mountain. Whiteface also has the highest vertical, measuring at 3430 feet. Other popular resorts in the Adirondacks include Gore Mountain, Titus, and Big Tupper. The other two areas where you can find skiing in New York are the Catskills and Western New York. In the Catskill Mountains, you will find Hunter Mountain, Windham, and Belleayre, home to some nice 1500+-foot verticals and over 150 ski trails between them. Western New York doesn’t slouch either when it comes to variety or verticals. Holiday Valley is about one hour away from Buffalo and is the resort to be seen at in the area. Other resorts of note are HoliMont, the largest private ski resort in the country, and Kissing Bridge. Kissing Bridge is in the Colden Snowbelt, with an average snowfall of 180 inches per year. New York is a big state. This means that it’s unlikely that you will be able to do a full state tour of ski resorts. After all, with over 50 resorts to choose from, there’s plenty to go around. Instead, focus on one area and see what they have to offer. It doesn’t matter if you’re after a thrilling vertical run or light skiing that’s heavy on the luxury. New York has a resort for you. One date to mark on your calendar is January 8th. That is Discover NY Ski Day, an officially sponsored event that gives discounted lift tickets good for that day. It’s a great way to try out a new slope or hit an old familiar resort and bring friends. Ski lessons are also discounted. Making the most of your time while skiing in New York isn’t just about knowing which slopes to hit. It’s also about knowing how to make the most of your money. One sure way to save money is to rent your equipment ahead of time. Do your comparison shopping with us and find great online discounts at the same time. Skiing in New York doesn’t have to cost a fortune. Let us help you make the most of your dollar, whether your goal is to spend more time on the slopes this ski season or to make your visit to upstate New York a once-in-a-lifetime trip.